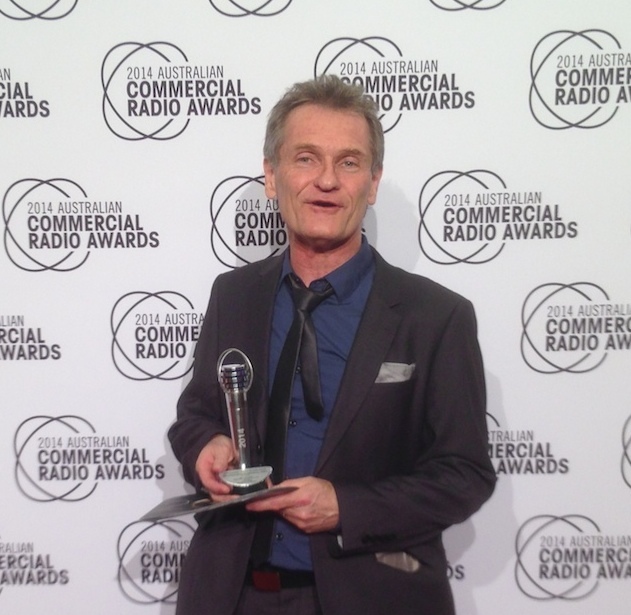 Southern Cross Media’s Cameron Horn celebrated a win at the Australian Commercial Radio Awards (ACRAs) as he took the crown for the ‘Best Station Produced Commercial – Single’ for his work with East Coast Juice. Currently Macleay College’s copywriting and radio advertising lecturer, Horn’s success is revered by the education institute, with advertising program leader, Ian Thomson, saying this is a perfect example of why industry professionals are best placed to mentor tomorrow’s leaders. Horn celebrated his win off the back of a nomination ‘hat trick’ – being the only writer in Australian radio to receive three nominations in the 2014 event. This included two nominations in the Best Station Produced Commercial – Single provincial category and one in the Best Station Produced Commercial – Campaign non-metropolitan category. “We’re all really proud of Cameron’s achievements at this weekend’s ACRA awards. It’s great to see him succeed from both a personal and professional level, and it’s great to know that our students are in good hands,” Thomson said. Along with sound engineer, David Horspool, his work with East Coast Juice earned him two of the three nominations,with a single commercial for Best Wash making up the third. East Coast Food and Beverages’ Business Developer Manager, Samuel James Lentini, sent a letter of recommendation to this year’s ACRA judging panel citing Horn’s work as the driving force behind the brand’s success. East Coast Food and Beverages’ business developer manager, Samuel James Lentini, sent a letter of recommendation to this year’s ACRA judging panel citing Horn’s work as the driving force behind the brand’s success. “Our company’s gone from having to beg Coles and Woolworths to take our products locally, to now being in a position of distributing our products to Woolworths locally and Coles, state-wide. Our research shows that we have become the second most popular juice in Coles on the Central Coast, behind only one other brand which is an international brand with an enormous promotion budget,” said Lentini. No stranger to the ACRA landscape – taking home the Best Campaign Commercial accolade the previous two years – Horn hopes his success in the field will inspire his students to follow in his footsteps. “There are currently 217 regional commercial radio stations in Australia, each producing around 2,000 ads a year,” Horn said. “The ACRAs pick only four of these single commercials to feature in their finalist nomination list, so I was thrilled to receive not only one, but two of these coveted spots. “I look forward to continuing with my work in radio creative and hope my success encourages others to reach big and believe in themselves. My dream would be to see one of my Macleay College students win their own ACRA in the near future alongside many other industry awards. I actually have one student already in line for next year’s ACRA nominations,” said Horn.